Public Dynamics: Public speaking skill coaching and presentation skills training in a fun and dynamic format. San Diego public speaking skills training with professional motivational speaker Milo Shapiro. Keynote speeches on public speaking and presentation skills by speaking coach Milo Shapiro via www.PublicDynamics.com. A fun and interactive way to improv your speaking skills with San Diego speech coach Milo Shapiro. Coaching in presentation skills and public speaking skills available. Centrally located to serve downtown, North County, East County, South Bay, La Jolla, Chula Vista, Del Mar, and more. Public speaking help with presentation skills training in a fun and dynamic format. San Diego executive speaking coach Milo Shapiro will make your program more powerful and captivating. The San Diego public speaking coach who will bring out your personal best while giving you solid fundamentals to draw from. Public speaking skills and presentation skills training in a fun and dynamic format. Los Angeles public speaking skills training with professional motivational speaker Milo Shapiro. A fun and interactive way to improv your speaking skills. Coaching in presentation skills and public speaking skills available. Keynote speeches on presentation skills and public speaking by speaking coach Milo Shapiro via www.PublicDynamics.com. Public speaking skills and presentation skills training in a fun and dynamic format. California public speaking skills training with professional motivational speaker Milo Shapiro. A fun and interactive way to improv your speaking skills. Coaching in presentation skills and public speaking skills available. Work on your fear of speaking in public with San Diego speaking coach Milo Shapiro. Get a San Diego speech coach to make you more dynamic, relaxed, and effective. 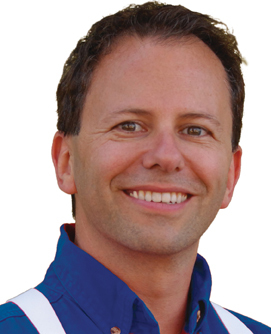 San Diego speaking coach Milo Shapiro eases the fear of speaking with fun exercises and valuable feedback. Work on your stage fright with a speech coach like Milo Shapiro so you'll be confident. Public Dynamics: San Diego speech coach Milo Shapiro eases the fear of speaking with fun exercises and valuable feedback. Public speech and presentation skills training in a fun and dynamic format. San Diego public speech skill training with professional motivational speaker Milo Shapiro. A fun and interactive way to improv your speech skills. Coaching in presentation skills and public speech skills available. Public speech skills and presentation skills training in a fun and dynamic format. San Diego executive speech coach Milo Shapiro will make your program more powerful and captivating. Los Angeles public speech skills training with professional motivational speaker Milo Shapiro. A fun and interactive way to improv your speech skills. Coaching in presentation skills and public speech skills available. Public speech skills and presentation skills training in a fun and dynamic format. California public speech skills training with professional motivational speaker Milo Shapiro. A fun and interactive way to improv your speech skills. Coaching in presentation skills and public speech skills available. Work on your fear of speaking in public with San Diego speech coach Milo Shapiro. Get a San Diego speech coach to make you more dynamic, relaxed, and effective. Work on your stage fright with a speech coach like Milo Shapiro so you'll be confident. Milo Shapiro is also a motivational public speaker with presentations on risk-taking and on public speaking skills. our coaching / classes result in you presenting powerfully! Coaching Home Goals Group Work About Milo Milo's Books Testimonials Keynote on Speaking "Full Speech Ahead"
Find the right words, organize material better, and improve delivery. With Milo's guidance, your audiences will be leaning forward to catch every syllable! Public Dynamics™ makes use of play in learning -- a means we frequently abandon after elementary school! Input is relaxed, personalized, and on-target for your goals. Public Dynamics™ is great training for sales staff, internal managers, politicians, and even students who want an edge in this competitive world. Sounds good? Great! Let's get started! Contact us to start on YOUR goals! using these methods on stage himself since 2002. The ability to come across impassioned, empathetic, and clear on concepts is critical in the political arena. Knowledge and good intent are not enough; the platform is what makes and breaks careers. All major political figures work with coaches − both on their words and their delivery. Milo's work with one candidate helped him become a formidable opponent to a popular incumbent candidate. While the congressman kept his seat, he faced a stronger challenge than he expected to, thanks to coaching from Milo. How do you face the challenge of being in a texting generation when you're aware that longer, verbal communication will shape your future? Emojis won't cut it during the college or internship interview. And you're already working toward oral presentations in classes and extra-curricular, how do you stand out from the crowd? For parents wanting to give their teen a leg-up on these challenges and teens who are motivated to be one step ahead of others seeking the same opportunities, these formative years are a great time to be receiving coaching. Reach out to one of the few speaking authors to focus on teen communication to help you sound ahead of your time without losing sight of who you are at heart. 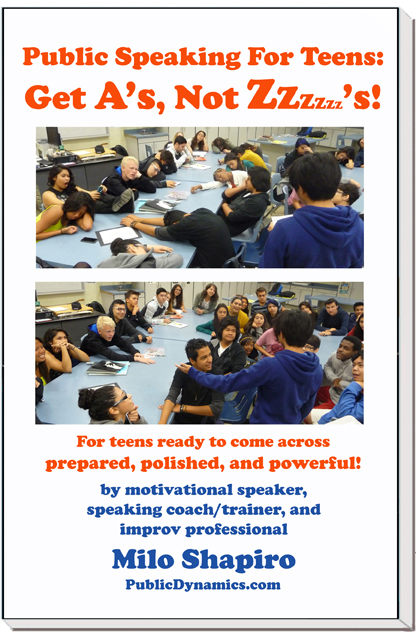 "Public Speaking for TEENS: Get A's, Not Zzzzzz's!"